To me, the best time of the year is the start of the school season. It is August and everyone is rested, fresh, and have smiles on their faces. It is a time for people to get a new start on goals that was not achieved from the previous season. The air quality even seems better for some reason... but I digress. The second best time of the year happens to be the start of the indoor season. In Illinois, that time typically starts around the holiday season. As a coach, I know that it's important to give my athletes some time to recharge from a tough cross country season. But on the other hand, I know that we must continue to put in the work in because the harsh winters and cramped spaces can often put a strain and restrictions on our training. The investment that I put into the guys is uncompromised and the return is extremely pleasant. The Annual Top Times meet held at Illinois Wesleyan University in Normal typically brings together the best talent for the two day meet. And once again the high stakes meet produced the overall best track and field experience and stat generated meet of the season. It was thrilling to watch Marcellus Moore (Jr., Plainfield North) and Katelynne Hart (Jr., Glenbard West) go nuts on the competition. Serena Bolden (Sr., Springfield Southeast) got out of her early season funk at the right time. The relays were impressive and the throws, pole vault, and jumps were fun to watch. I could go on and on with details. 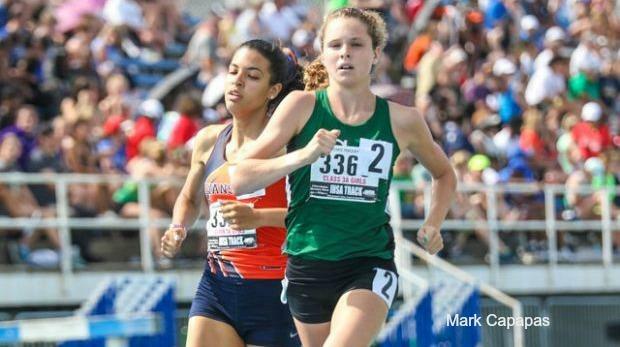 Last outdoor season did not start out well as it appeared to be a record number of cancellations by meet directors. In other words, staying home and inside during the month of April was in vogue. Of course, things got better as time went on. It will happen again. So far the first official week of outdoor track and field has been satisfactory. I expect to see more in the upcoming weeks. For starters, Belleville West Boys Invite and the Arcadia CA Invite which will feature several dozen state athletes will go at it. Hart and Moore will be leading the pack in chasing all-time records this spring. We will see the team battles emerge in this scenario. E. St. Louis boys and girls will try and take over the 2A realm. They appear motivated by the transgressions of 2018. The 1A scene is taking shape as well. Defending boys champion Ridgeview appears strong on the cuff. The girls side is a bit cloudy but don't count out St. Joe-Ogden. Homewood-Flossmoor girls and Naperville North are once again the 3A squads to focus on. For the boys, keep your eyes on Crete-Monee but they must finish the job though. As always look for the best coverage of track and field in the game from us all at MileSplit Illinois!